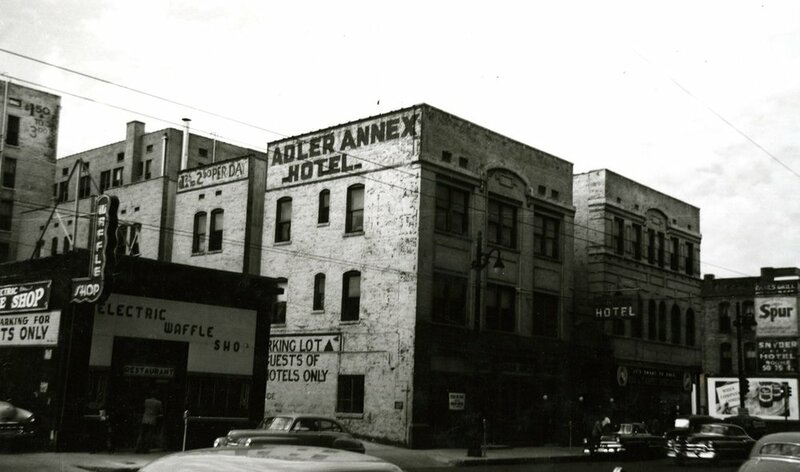 As you walk down South Main, you’re a part of its legendary history. The buildings, most of them constructed in the early 1900s, are museum-quality architectural gems. And the stories that have transpired inside their walls over the past century show the quirky, innovative, individualistic spirit of the neighborhood. You can follow this 6-block walking tour by clicking on an address below, scanning QR codes on buildings, or download a printed tour. Sources include Downtown Memphis Commission, Memphis Heritage, Memphis Room at the Benjamin L Hooks Library, Historic-Memphis.com and others. If you have additional information or notice something that needs to be corrected, please contact getdown@downtownmemphis.com. Download a QR scanner on your Smartphone and find these stickers on buildings in South Main to take self guided walking tour!